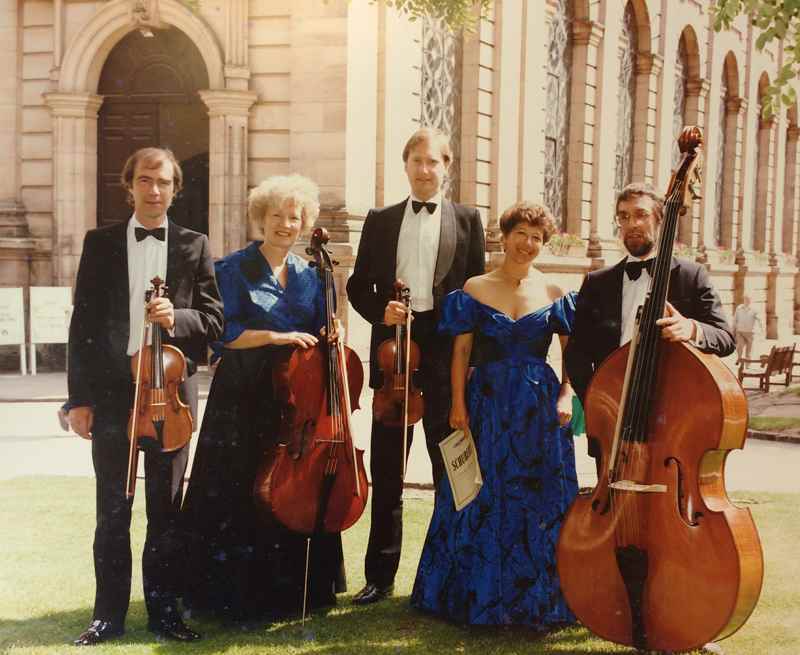 The Midland Chamber Players first came into being through the firm friendship of Jean Gubbins and Harry Van der Lyn who met whilst playing for the City of Birmingham Symphony Orchestra in the early 1960's. Harry was a Dutch refugee who came to Britain in the fifties with a passion to bring chamber music into more peoples lives. Harry was familiar with the concept of lunchtime concerts, having performed with Amsterdam's Concertgebouw Orchestra, and he was driven to launch something similar in Birmingham. In 1966, Harry and Jean formed The Harry van der Lyn Players, which opened for their first full season in the foyer of Dr. Johnson House in Bull Street. Birmingham. As the Lunchtime Concert audiences grew over the years, the foyer soon became too small and The Midland Chamber Players, as they were now called, began to look around for more appropriate premises. In 1969, they moved to the Gallery Lecture Theatre in the Birmingham Museum & Art Gallery, where they were to stay for the next twelve years. During that time, they became a Society at the instigation of Sir Adrian Boult and began to introduce a policy of commissioning new works by up and coming Midlands musicians. More than fifteen composers have written pieces for the ensemble, including Andrew Downes, the present patron, Graham Whettam, Barrie Grayson (former Birmingham Post music critic) Anthony Pither, Peter Dickinson and Ivor Keys. 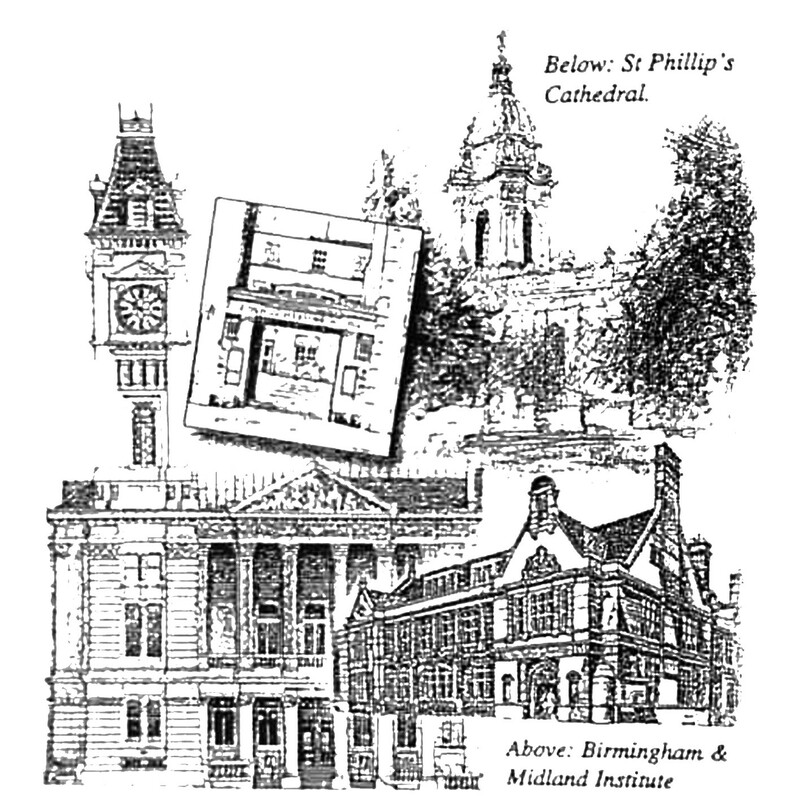 In 1981, the season started in the impressive venue of the Birmingham Cathedral, changing their concert times from Thursday to Friday to fit in with Cathedral commitments. Sadly, Harry van der Lyn died in 1986 after an eventful twenty years of Lunchtime music, and a memorial concert was held in October of that year. Many artists, who had been associated with his concerts over the years, took part in a benefit concert with violinist Colin Gough as Leader. In that same year, Jean became the Musical Director, and the Players were joined by a number of eminent Midland violinists over the following years, including Colin Gough, Cyril Perfect and David Gregory. In 1993 the violinist Jeremy Ballard became a regular performer with the Midland Chamber Players and worked with them until his death in 2015. After 15 successful years playing at the Cathedral, spiralling costs meant it became time again to look for alternative city centre premises. 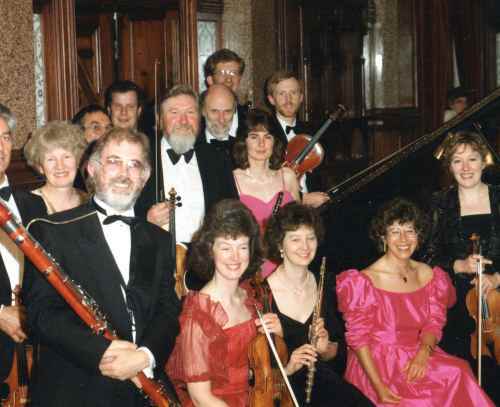 Following a fortuitous meeting with the then Administrator of the Birmingham & Midland Institute, Philip Fisher, the Midland Chamber Players opened their 1997 Season of Lunchtime Concerts at the Lyttelton Theatre, where their regular recitals are still enthusiastically supported.